Learning to drive wasn't as stressful as i thought it would be. Peter Andrews teaching methods were very good, clear and helpful. He was always very patient and flexible. I asked my friends who they would recommend when i was looking for a driving instructor. I passed first time with Peter Andrews. His teaching methods are fantastic. I would highly recommend him. Learn Driving UK were recommended to me and looked like a good company. They are a good driving school with good prices. Learning to drive felt a lot easier than i expected but a great challenge. I passed my driving test first time with Alex Evans. His teaching methods were very good. He is a great driving instructor. I wanted driving lessons at a time that suited me. Chris Taylor was excellent, excellent teaching methods and i passed my driving test first time. Great driving school, they teach you to pass your driving test first time. I wanted to find the best driving instructor and the best rates and pass rate. Learn Driving UK had all these things. Learning to drive was a little harder than expected, but absolutely brilliant. Tam was great, just always listen to your instructor! Price and availability were important to me. Alex was excellent, his teaching methods were excellent, and i passed my driving test first time. Excellent service and great banter, thanks Alex. I chose Learn Driving UK because of their pass rate and from friends recommendations. Tam was patient and understanding. Learning to drive exceeded my expectations. Tam was very helpful and pushed me to my limit. definitely recommend him. I wanted to find a reliable driving instructor, someone friendly and who would give good encouragement. Matt was great and i passed my driving test first time. Learning to drive seemed easier than i expected it to be. Matt was amazing, brilliant instructor. Matt was a friendly driving instructor and very patient. Lessons were affordable, and learning to drive was just as i expected it to be. Matts teaching methods were very good, well explained and he was very patient, i passed my driving test at the first attempt. I chose Learn Driving UK because of the pass rate and recommendations. Learning to drive was just as i expected it to be and i passed my driving test first time. Chris Taylor was amazing, he taught me everything. He helped me very much with flexible times and great teaching methods. Lessons are good value and you will get an excellent service. 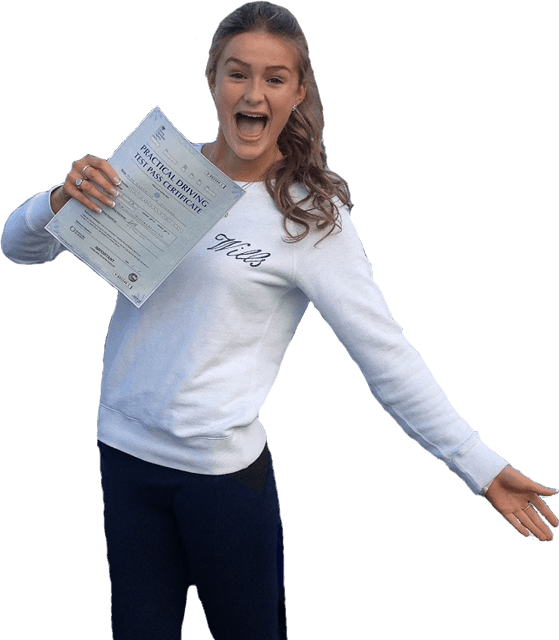 Learn Driving UK have great pass rates and reviews, this is why i decided to do my driving lessons with them. Learning to drive was a lot harder at first but with every lesson the information becomes second nature. Chris Taylor's teaching methods were clear, concise and easy to understand. Chris was always friendly and very confident. I really enjoyed learning to drive and i passed first time. They are very professional. Learn Driving UK had good reviews, the price was right and i liked the fact you get free theory test training. Learning to drive wasn't as scary as i thought it would be. Alex was brilliant, i couldn't have asked for a better driving instructor. Alex really boosts your confidence. I can't think of anything that would improve the quality of lessons. LDUKs Reputation is really good, Alex was friendly and the price was great. I found learning to drive difficult at first but Alex's teaching methods were fantastic and i passed first time. He is friendly and makes lessons enjoyable. Alex is very knowledgeable, brilliant instructor. Availability of the driving instructor was very important to me. Learning to drive was a lot easier than i expected it to be. Peters teaching methods worked brilliantly for me. I would highly recommend Peter Andrews as his teaching is very good. My friend passed first time with Tam and i was referred to him through him. Tam was patient and understanding. Learning to drive was quite similar to what i expected. Tam was very helpful, always calm and gave clear instruction and i passed first time. I would highly recommend Tam as his teaching methods are very good. It was important to me that i enjoy my driving lessons. Learn Driving UK are good value for money and i passed first time. Learning to drive was better than i expected it to be. Matt was friendly, helpful and easy to understand. All round very good. Alex was very patient with me and he was flexible with lessons so that i could fit them around my unsociable hours with work. Learning to drive was a lot better than expected it to be. Alex was calming, he was patient and explained things and always talked through the good and bad mistakes. I have already recommended Alex to colleagues wanting to learn. I chose Learn Driving UK and Tam Gallagher because of all the reviews from other people. Tam was very patient and his teaching methods were clear and easy to understand and i passed my driving test first time. Learning to drive wasn't as daunting as i had expected it to be, i was very nervous at the start but i passed first time in just 30 hours. Tam was referred to me by a mate and he passed first time. I would really recommend Tam. Learning to drive was more difficult than expected due to technical situations. His teaching methods were very good, he kept calm when i was doing things incorrect and encouraged me to keep trying and not give up.